Things Get Ugly in Georgia This Time of Year! The Georgia/North Carolina fourth quarter Property Manager meeting took an ugly turn yet again. 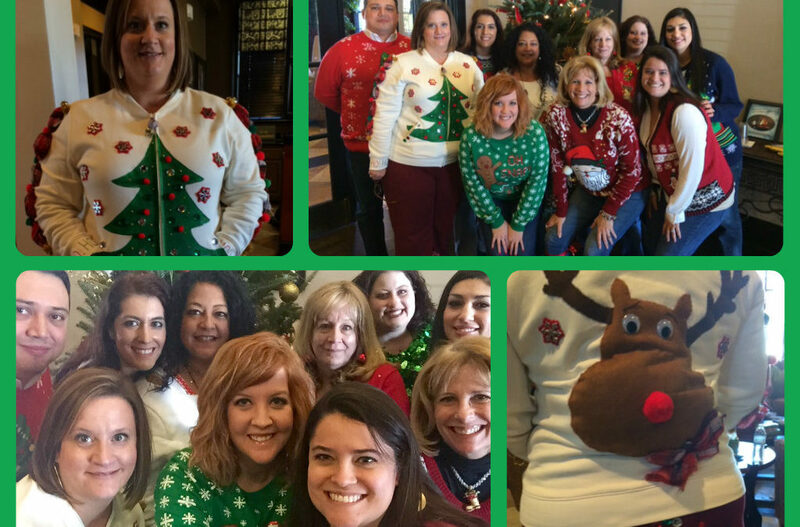 For the second year in a row the team held an ugly sweater contest to add a fun seasonal twist to the last meeting of the year! Thanks in part to the decorating help from the team at her community, Tuscany at Lindbergh Senior Property Manager, Lauren Moseley came away with the win for her “Jingle Warm-Up Suit” which had her tacky and sparkling from front to back! Way to have some fun and ugly it up, Georgia! It was a job well done for such a great looking bunch of managers!